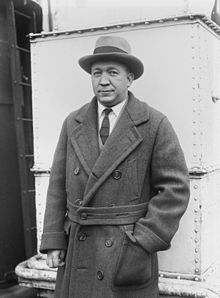 Knute Kenneth Rockne (4 March 1888 – 31 March 1931) was a Norwegian-American football player and coach at the University of Notre Dame, regarded as one of the greatest coaches in college football history. He helped to popularize the forward pass and made the Notre Dame Fighting Irish a major factor in college football. Variant: One man practicing sportsmanship is better than a hundred teaching it. Attribution to Rockne sometime in the 1920s mentioned in Safire's Political Dictionary (2008) by William Safire, p. 401, but there is no definite mention of this yet located prior to the 1980s; in The Yale Book of Quotations by Fred R. Shapiro, a similar remark is credited to Arnold "Red" Auerbach, based on a 1965 citation in the Mansfield News Journal [Ohio]: "Show me a good loser, and I'll show you a loser." Now I'm going to tell you something I've kept to myself for years. None of you ever knew George Gipp. He was long before your time, but you all know what a tradition he is at Notre Dame. And the last thing he said to me, "Rock," he said, "sometime when the team is up against it and the breaks are beating the boys, tell them to go out there with all they've got and win just one for the Gipper. I don't know where I'll be then, Rock," he said, "but I'll know about it and I'll be happy."